Contigo Trekker is the perfect on-the-go companion for little ones (and probably some adults too) who've outgrown sippy cups but have not outgrown spilling. 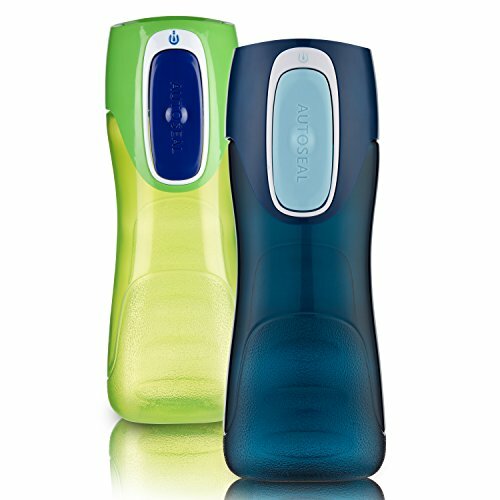 This water bottle features a one-touch AUTOSEAL lid that automatically seals between sips for mess-free drinking. Plus it's easy for small hands to hold, so it's perfect for kids to keep on trekkin'. For ages 3 and up.